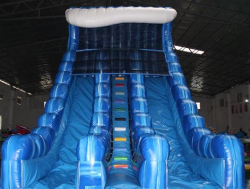 Our large dry slide rentals are the perfect solution for those locations where water just isn’t an option. 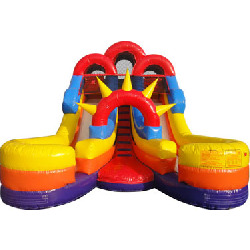 Great for school gymnasiums, church carnivals, or company picnics, these colorful slides are every bit as exciting as water slides and make great centerpiece attractions. 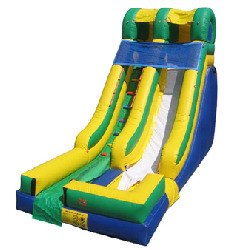 If you’re looking for a great way to take your event or party to the next level, Jump & Laugh has you covered! 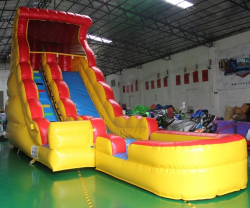 We offer slides that are great for adults and children alike. Check out what we have below, if anything sparks your interest or you want to learn more, just click on it!